Even the quickest look at the logo bearing the visage of our namesake will tell you Col Ichabod Conk was a man who knew a thing or two about moustache wax. 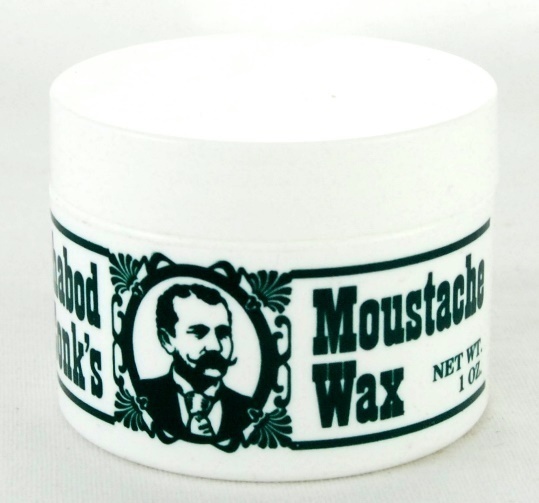 While we're partial to democracy here at Col Conk and believe it's a personal choice, we ourselves come down firmly on moustache wax as the best way to give some shape to what otherwise be unruly facial hair. That's why we are continually tinkering with our Moustache Wax to develop just the right qualities of color, pliability and scent to provide the superior look, feel and control popular contemporary styles require. We've settled on a formula that features a mild transparent wax with a subtle, light and pleasant fragrance. Its easy to work with. You're able to easily the wax and work it comfortably with your fingers. Will you ever develop a profile to rival our legendary namesake? Only time (and your styling skill level) will tell.